SINTESI CONTENENTE UNA BREVE DESCRIZIONE DEL LAVORO SVOLTO E DEI RISULTATI OTTENUTI: Neuroblastoma (NB) is an embryonal malignancy of the sympathetic nervous system and is a very heterogeneous in terms of biologic, genetic, clinical and morphologic characteristics. NB presents with a poor prognosis for children diagnosed over 18 months of age with disseminated disease (Maris JM, 2010). About half of all cases are currently classiﬁed as high-risk NB (HR-NB) for disease relapse, with overall survival rates less than 40% at 5 years despite intensive multimodal therapy (Maris JM et al, 2007). NB harbours a variety of genetic aberrations (loss of 1p, 3p, 9p and 11q and gain of 2p and 17q) associated to NB aggressiveness. In neuroblastoma, recent large scale sequencing e fforts have shown that, at the time of diagnosis, only few genes are recurrently altered. The most frequent are: ALK, with mutations occurring in 8-10% of diagnostic samples, as well as ATRX and other genes involved in chromatin remodeling, PTPN11, and genes of the neuritogenesis pathway. In particular, Whole genome (WGS) or exome sequencing (WES) done on an overall of 350 NB cases of all clinical stages revealed structural variants in PTPRD, ODZ3, CSMD1, and ARID1A genes (Molenaar, J.J. et al, 2012; Sausen M et al., 2012) and few novel high-frequency recurrent somatic mutations in ALK, ARID1B, TIAM1, ALK, PTPN11, OR5T1, PDE6G, MYCN and NRAS genes (Molenaar, J.J. et al, 2012; Sausen M et al., 2012; Pugh TJ et al., 2013). Altogether these studies indicated that most of NB harbor only few mutations, with an average of 10 – 20 predicted non synonymous variations in coding regions per genome making the identification of NB-associated genes with rapid disease progression still lacking. Conversely, to previous reports, we focused on two subgroups of HR-NB patients from stage 4 NB: i) Short Survivor (SS) group including patients irresponsive to therapy, with rapid disease progression and fatal outcome within 60 months from diagnosis; ii) Long Survivor (LS) group including patients with slower disease course and an overall survival (OS) over 60 months. Therefore, we will seek for gene associated with tumour progression in HR-NB by WES. We was able to perform WES analysis of 31 matched tumours and peripheral blood samples. We found gene differentially mutated in the two subgroups (SS and LS) and involved in biological pathways that could explain the different patients’ outcome. This is the first It alian study in which a large cohort of HR-NB patients is analysed allowing us to define mutated genes involved in biological processes associated to rapid disease progression. 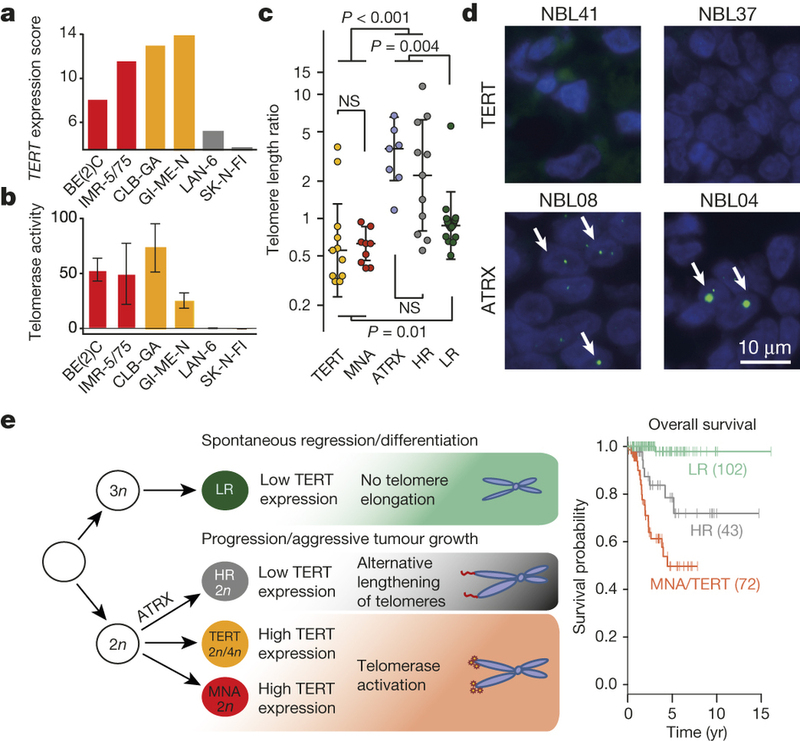 This molecular insight of NB patients might help to tailor a more specific therapy and improve patients’ overall survival.